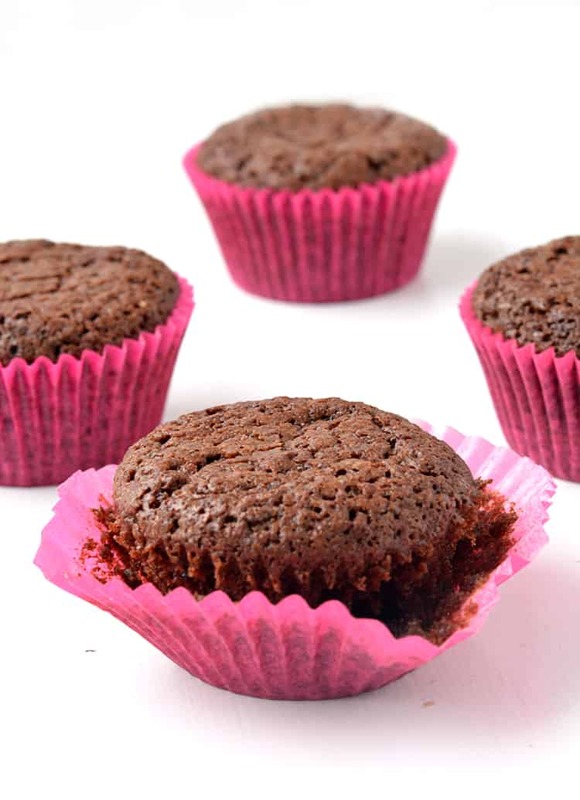 These gorgeous Brownie Cupcakes are perfect for your next celebration or party. 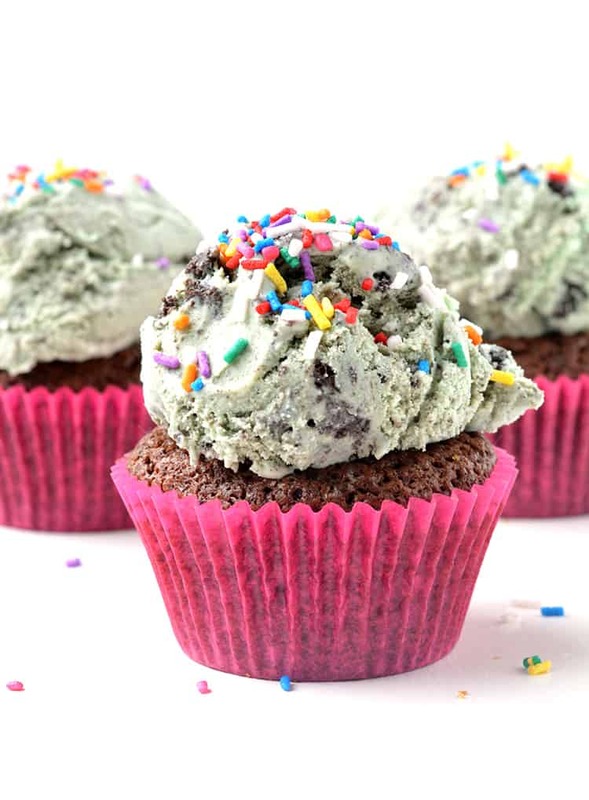 Topped with scoops of mint chip ice cream and sprinkles. they’re the ideal make-ahead dessert. I’ve found my new favourite thing. Brownie Cupcakes. Can you even? 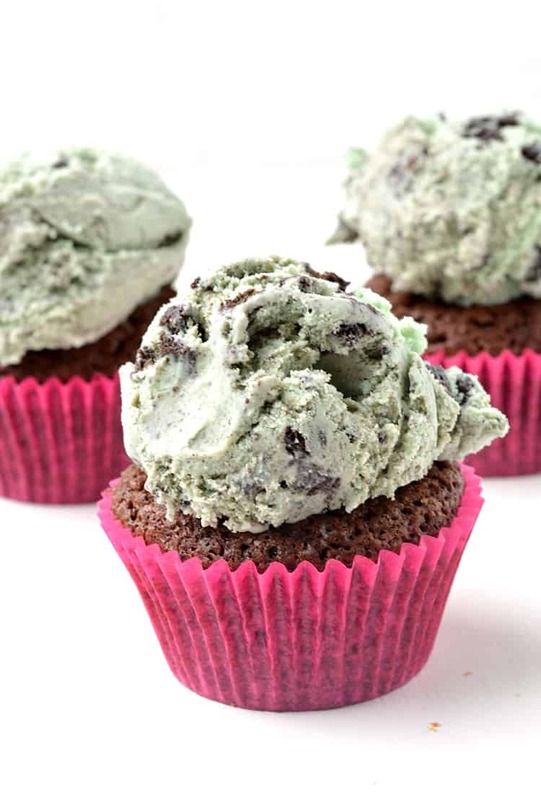 Thick and chewy chocolate brownies baked in a muffin pan and topped with giant scoops of mint chip ice cream. First, let’s talk brownies. Who doesn’t love brownies? They’re one of my all-time favourite foods. So when you take a brownie and make it into a cute no-fuss dessert, who’s going to say no? Not me. I’m ALL over these Brownie Cupcakes. They’re the BEST thing since chocolate cake – am I right?! To make these chocolate brownies thick and fudgy but a little cakey too, I used my trust-worthy One Bowl Cocoa Brownie recipe. But I added a handful of chocolate chips for an extra POP of chocolate. 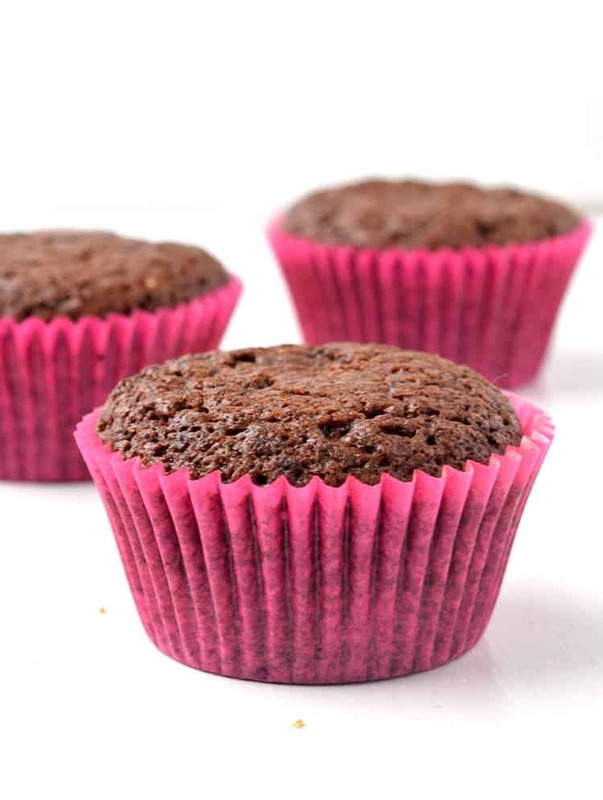 Baked in cupcake liners, they look beautiful – just like real cupcakes. But maybe even better. 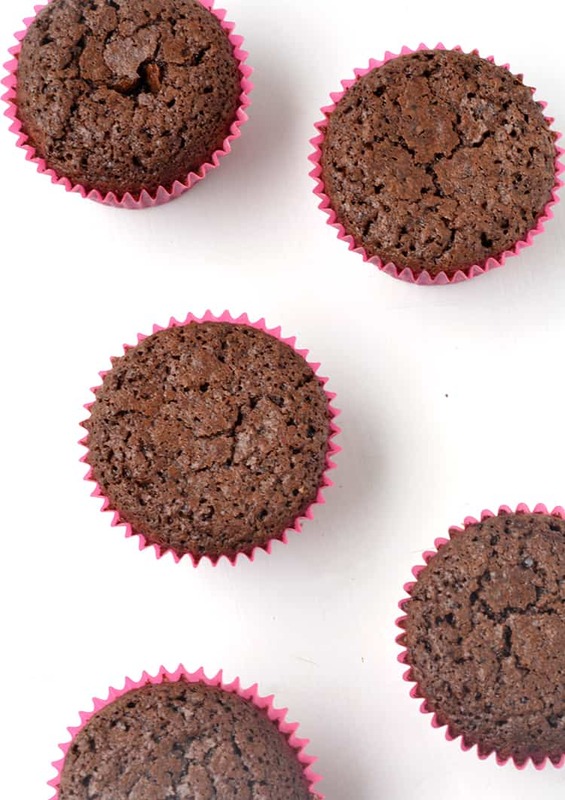 Inspiration for these brownie cupcakes struck late at night. First there was the idea of making brownies into cupcakes. Followed quickly by the idea of frosting them with ice cream. A fudgy chocolate brownie doesn’t need a pile of buttercream frosting like cake does. It needs ice cream. The best part? Once these brownies are baked and cooled. You don’t even need to make any frosting. 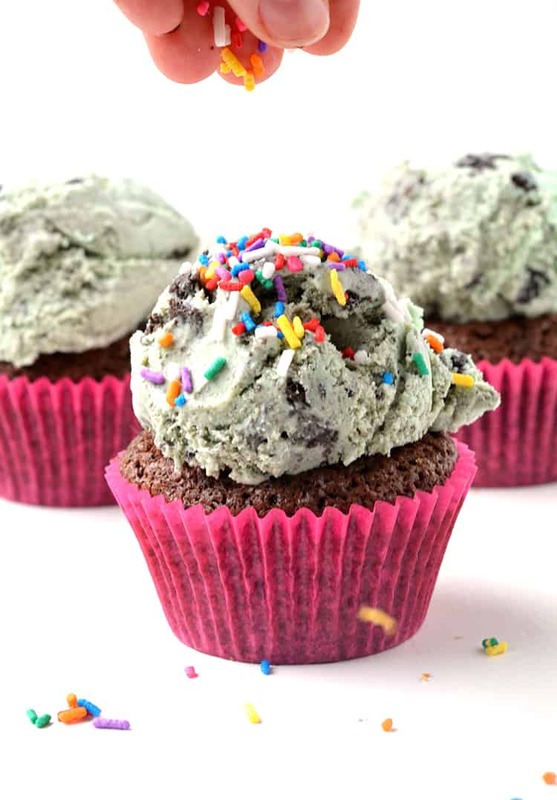 Just whip out your favourite ice cream, I went for Mint Chocolate Chip, and scoop it on top. You are done. 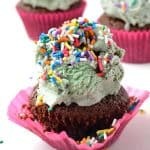 Hands down the best and easiest cupcake ever. If you want to get really festive, add a few coloured sprinkles on top. We don’t need to go into why sprinkles make every dessert better – they just do. Aren’t these just PERFECT for a birthday party? Or any kind of celebration. So easy, so tasty and so pretty! Truth be told, it’s actually my birthday this week so I guess these could be considered my birthday cake. I’m certainly not complaining about that! Chocolate + brownies + cupcakes + ice cream + sprinkles = BEST BIRTHDAY EVER. 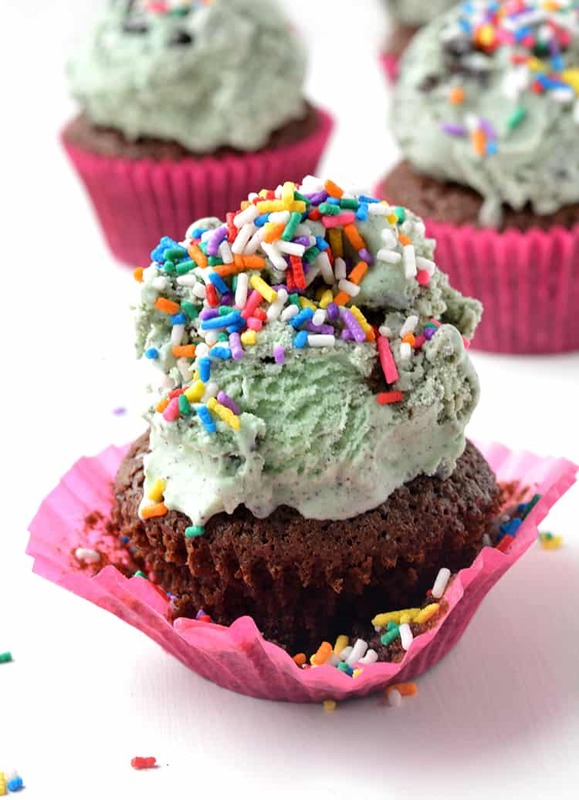 Amazing chocolate brownie cupcakes topped with mint chip ice cream and sprinkles. Preheat the oven to 160 C (320 F). Line a 12-hole muffin pan with cupcake liners. In a large mixing bowl, add the melted butter and sugars and gently whisk together. Add the vanilla extract and stir. Add the eggs, one at a time, stirring in-between, then sift in the cocoa powder and flour. Stir until just combined. Add chocolate chips. 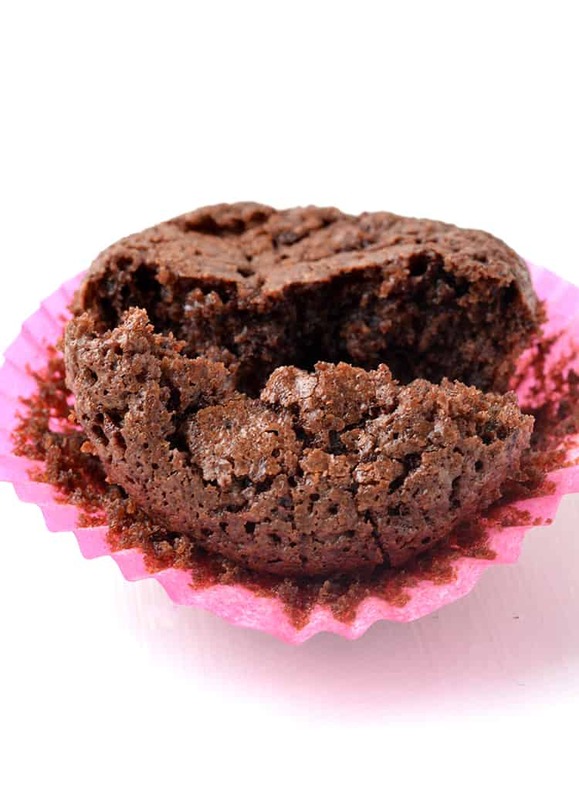 Pour the brownie batter into cupcake liners, filled approximately 3/4 full. It should make 11 cupcakes. Bake brownies for approximately 22-25 minutes or until they no longer wobble in the middle. Transfer to a wire rack to cool completely. 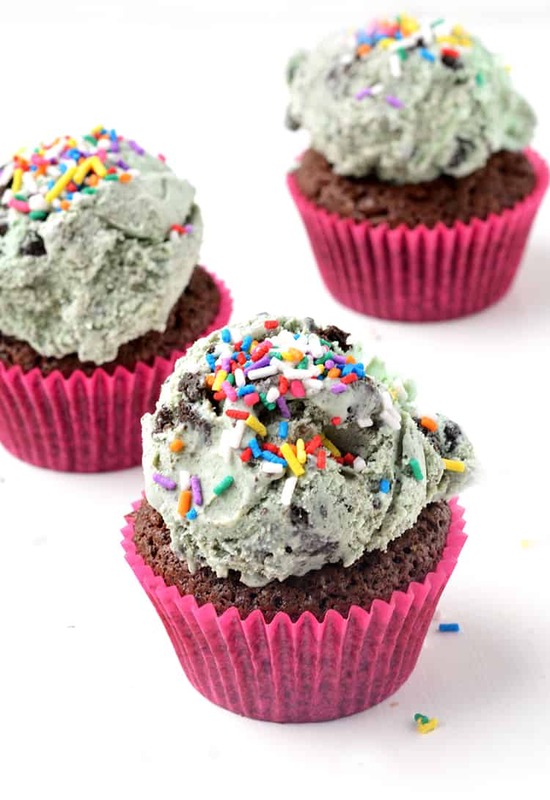 To serve, top brownies with a scoop of mint chip ice cream (or your favourite flavour) and add sprinkles on top. Don’t try to bake them for someone else when you’re on diet, because you will eat all of them and will forget about your diet 😂 Per-fect sweet treat. Loved these! The brownies were really nice!